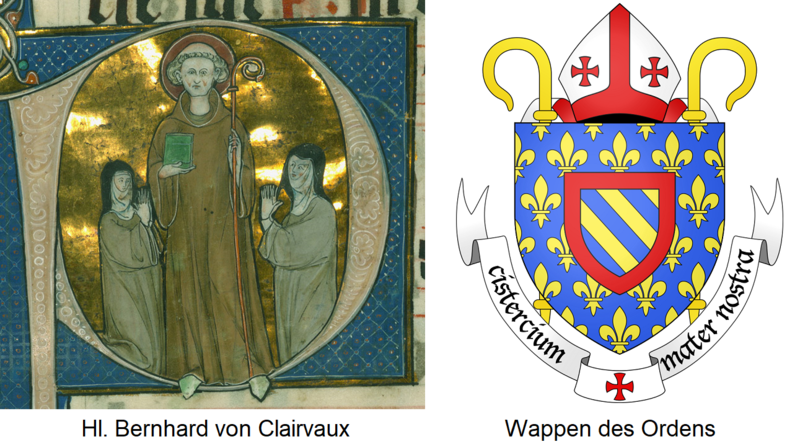 The Catholic monastic order went as a reform movement from the Order of Benedictine and has its origin in the French Burgundy, It was founded in 1098 by Robert de Molesme (1029-1111) in the Cîteaux family monastery north of Beaune founded. As a significant distinction, the monks wear white instead of the black Benedictine cowls. Saint Bernard de Clairvaux (1090-1153) founded Clairvaux Monastery in 1115 and issued a new rule of the Order. Once a Cistercian monastery counted 60 monks, twelve of them had to move out and found a new monastery, which led to a strong spread of the Order. This led to a tremendous expansion, because in 1153 there were already 400 abbeys and 100 years later 2,000 Cistercian monasteries and 1,400 nunneries throughout Europe. The Order specialized in exemplary land management. The monks experimented with different perfectionists soil types, such as Rebschnitt-. finishing and Vinification techniques, Her greatest achievement was the conception of the Cru or. Terroir-thought, The experience benefited all countries where the Order was active. In addition to the Benedictines and Carthusians they did crucial development work in European viticulture. The Duke of Burgundy donated on the day of the founding year 1098 the Order in Meursault her first vineyard. Through endowment, purchase, lease and exchange, the Order increased its ownership of vineyards in Burgundy in many famous appellations; for example in chablis (where the monks are the first to plant the Chardonnay), Aloxe-Corton. Pommard and Volnay, One of the most famous of these is today's Grand Cru location Clos de Vougeot in the area of Côte de Nuits with 50 hectares of vineyards, which they used as a kind of experimental laboratory. It is said that they even "tasted the soil" here. This vineyard was surrounded by the monks in 1330 with a high wall that can still be seen today. In 1551 they built in this area the Château de Vougeot, in which today the wine brotherhood Confrérie des Chevaliers du Tastevin holding her annual meeting. Within just one hundred years, more than 200 branches were established on the Rhine between Worms and Cologne. One of the most famous monasteries is the one founded in 1136 Eberbach in the Rheingau with the famous Steinberg in Hattenheim. In the 12th and 13th centuries, this abbey with its offshoots was, so to speak, the largest wine-growing company in the world. Initially, the monks from Burgundy planted brought vines, including were Noirien and Fromenteau, the ancestors of Pinot Noir and Pinot Gris. The name "Gray Monk" for Pinot Gris comes from the fact that they introduced this vine. 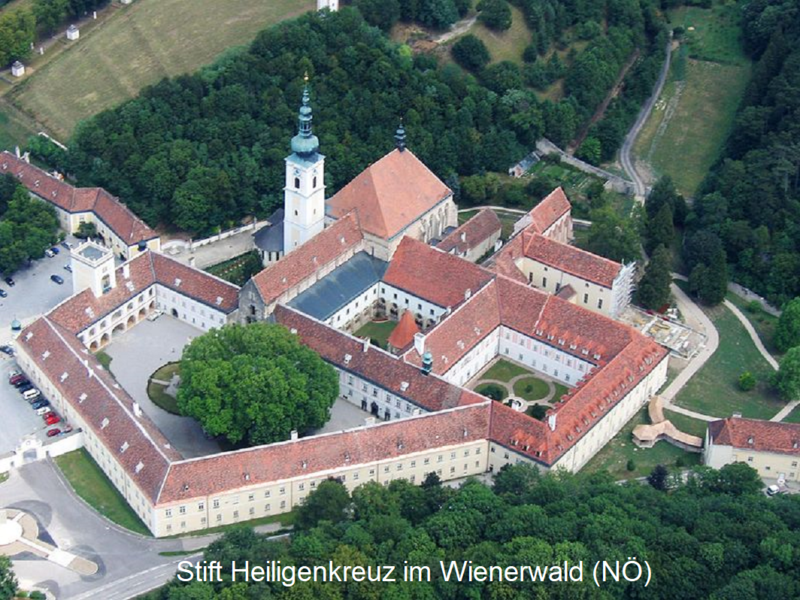 They also played a significant role in the cultivation of the Riesling, In 1137 they founded the Monastery Pforta at Naumburg in today's growing area Saale-Unstrut. The famous, terraced vineyard Dézaley over Lake Geneva in the Swiss canton Vaud was created in 1142 with extreme effort. The winery, which is one of the oldest wineries in Austria Freute Thallern at Gumpoldskirchen was founded in 1141 by the Cistercians of Heiligenkreuz Abbey and is still run by them. In 1232 was in Kutjevo in today Croatia founded a wine cellar, which still exists today. The monks also owned vineyards in the Hungarian region of Tokaj-Hegyalja (see Tokaj ). Because of the great services to the wine in the Rheingau received the new breeding Arnsburger its name after the Cistercian monastery Arnsburg bei Gießen. In the 19th century, the Cistercians lost most of their property, today they are mainly active in pastoral care and teaching. The Order saw in the wine a special gift of God and one Quote read: Qui bon vin boit, Dieu voit (you give good ones, you look God in the wine). This page was last modified at 30 March 2019 at 08:52.